Intuitive Painting Retreat is offered in a package that includes the workshop, 5-night accommodation in family hotels in the near-by village of Ambelas and daily lunch & dinner. 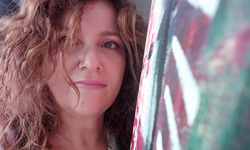 Tao’s is hosting Roni Tahor for her Intuitive Painting Retreat. Intuitive Painting is based on the principle that creativity will flourish from a non-judgmental place, with no need for a final product. The retreat schedule includes indoors & outdoors painting sessions, lunch and dinner and free time to enjoy the beautiful Island of Paros. Roni Tahor is an artist and has been teaching for many years, individuals and groups, facilitating workshops in Israel and overseas.